Weather vanes are hand crafted in cast iron and painted black. 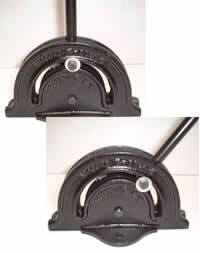 There are a selection of weather vanes and the base is adjustable. Weathervane featuring cockerel silhouette Comes complete with adjustable fixing brackets.